Carefully driven, First hand, Scratchless condition,dual a/c, MP3 player, DVD player, Rear View Cam, very economical on Diesel, Call / Sms 9am- 10pm only. Serious buyers only. If my number is not responding call . Exchange possible with Altis, Civic, Prado, Land Cruiser, Camry, Accord. any car of same value. Set your Alerts for SsangYong Stavic in Islamabad and we will email you relevant ads. 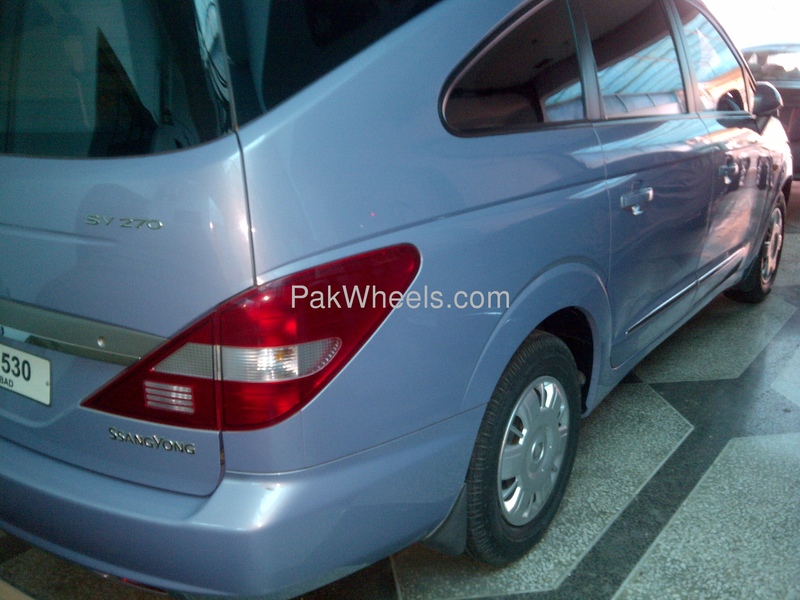 Hi, I am interested in your car "SsangYong Stavic 2007" advertised on PakWheels.com. Please let me know if it's still available. Thanks.